You might not give much thought to how you clean your ears, but there are few simple ear care rules you can follow to keep your ears clean, healthy and infection-free. 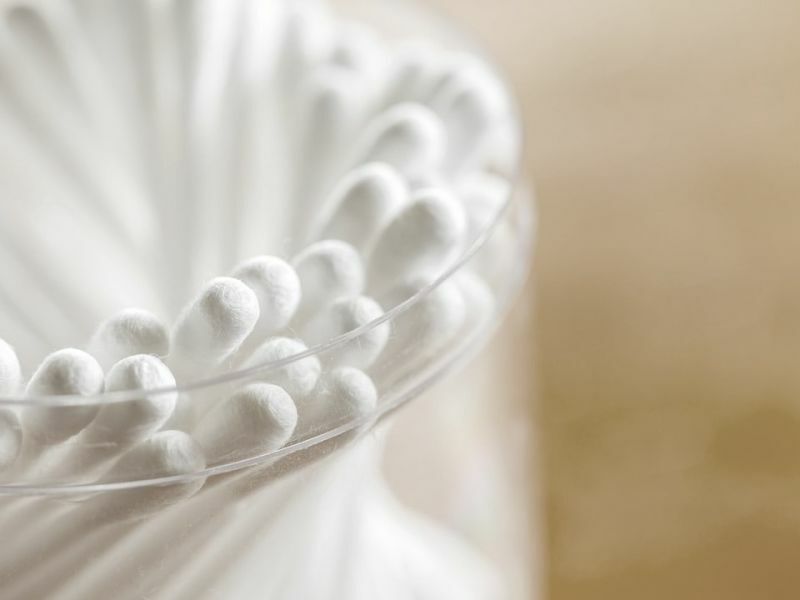 It’s tempting to use cotton buds to clean your ear canals, but try to resist. Especially as it results in 7,000 hospital admissions every year. Cotton buds are bad for ear health - they strip your ears of their natural oils, leaving them open to itchiness and even infection. If earwax does start to become a problem which you would like to be removed, visit an audiologist to have it professionally removed rather than resorting to unproven remedies such as ear candles. There’s no evidence they work, and they can even be dangerous, increasing the chances of burns to the face/ear and even letting candle wax into your ear canal. Doctors have long since proven that the residue produce from ear candles isn’t earwax, but actually the leftover paraffin and melted beeswax. A couple of drops of olive oil in your ear canal twice a day for a few days can be all you need to dislodge a build up of earwax. If you’re concerned about excessive earwax, get in touch with a Leightons hearing care professional. We can remove wax by gentle irrigation or microsuction techniques. Pop into your local Leightons branch to find out more. Any ear pain, either in your inner ear or outer ear, that persists for more than a few days should not be ignored. Whether it’s shooting pains or dull aches, it can be a sign of other issues. Visit your doctor or audiologist as soon as you can to get it diagnosed. It’s unlikely to be anything to worry about, but better safe than sorry. It doesn’t matter if you’re a shower specialist or a born bather, there’s no need to be strong-armed when it comes to your daily washing regime. our ears are home to apocrine sweat glands, the same glands found in your armpits and other sweat-prone areas. These glands produce antibacterial earwax, but they’re also to blame for smelly body odour, so it’s wise to keep your ears clean. If your ears feel like they could do with a wash, just use a damp cloth in the shower or while bathing to gently clean the outside of your ears, including behind your ears. And it bears repeating: don’t use cotton buds. Some understandably don’t like the idea of getting water in their ears. Could it cause infections or other problems? Almost certainly not. Although rare, it is possible that water can remain in your ears long after you’ve left the water. This excess water can wash away your ear’s natural defences, causing infection. This is called swimmer’s ear. It’s easily treated with antibiotics, and easily prevented too: use swimmer’s ear plugs to keep the water out of your ear canals. If you have a Receiver-In-Canal (RIC) or In-The-Ear (ITE) hearing aid, don’t use water at all – use a dry cloth and cleaning brush. In fact, manufacturers of both device types will typically provide their own cleaning tool, as well as an all-important wax prevention filter system. If you have a Behind-The-Ear (BTE) hearing aid, then after soaking the mould and tubing in warm soapy water for around 15 minutes you can rinse them and then wipe with a cloth or tissue, before leaving to dry out completely overnight. Our experienced audiologists will deliver the best ear care advice for you. Book an appointment online or call us on 0800 40 20 20.